A federal judge in New Jersey sentenced Zhifei Li, the owner of an antiques business in China, to nearly six years in prison for heading an illegal wildlife-smuggling conspiracy in which 30 rhinoceros horns and many objects made from rhino horn or elephant ivory worth more than $4.5 million were smuggled from the United States to China. The May 27 sentence, one of the longest prison terms ever imposed in the United States for a wildlife-smuggling crime, is the latest victory for Operation Crash, a nationwide effort to investigate and prosecute those involved in illegal trade of rhinoceros horns. “The multibillion-dollar illegal wildlife market is supplied by animal poaching of unthinkable brutality and fed by those willing to profit from such cruelty,” said U.S. Attorney Paul J. Fishman, whose office prosecuted the case. The rhinoceros, which has no predators other than humans, is protected under U.S. and international law. 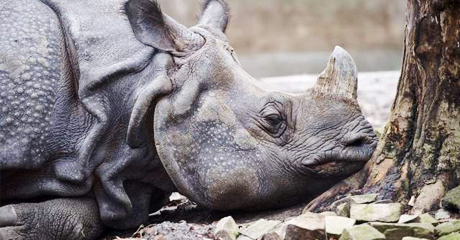 Since 1976, trade in rhinoceros horn has been regulated under the Convention on International Trade in Endangered Species of Wild Fauna and Flora (CITES). In addition to the prison term, U.S. District Judge Esther Salas ordered Li to serve two years of supervised release and to forfeit $3.5 million in proceeds of his criminal activity as well as several Asian artifacts and various ivory objects.